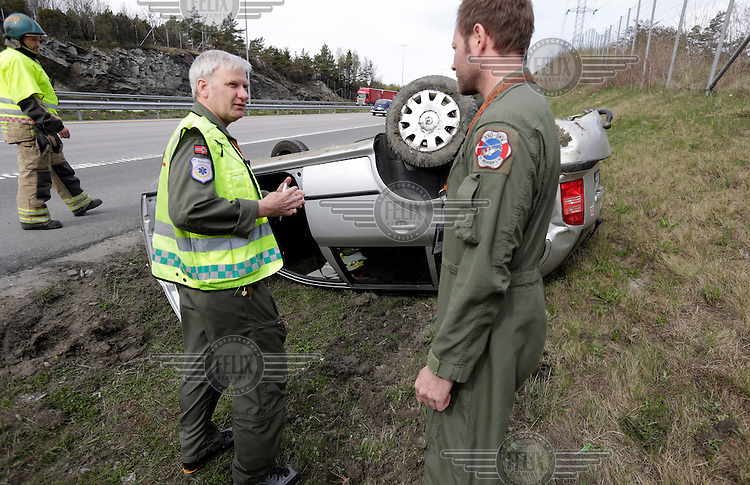 Anesthesiologist Hallstein Sørebø discuss with rescue paramedic Lars Markengbakken at an accident scene. Crew from Norwegian Air Force 330 squadron, flying Westland Sea King helicopter. The core mission of the squadron is SAR (search and rescue), but they also fly HEMS (Helicopter Emergency Medical Service), complementing the civilian air ambulance service, and use a car in their local area.